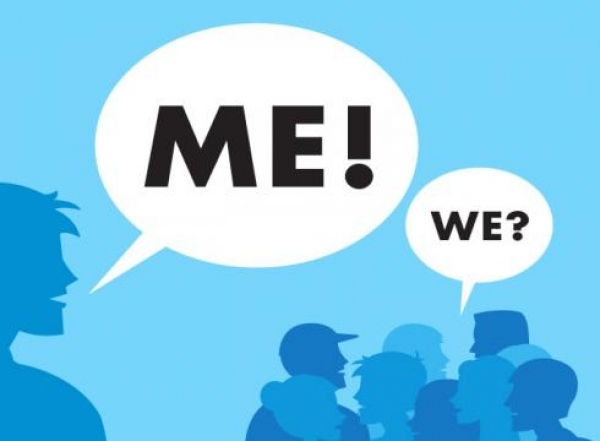 Who is more important, individual or team? What sort of company culture and HR policies should be promoted, those that promotes the team or those that recognise exceptional individuals. Lessons from ongoing controversies on coach selection in the Indian Cricket team. This perennial dilemma keeps re-surfacing every now and then and drives much debate. As we emerge from the annual performance appraisal and increments season, many of us would have had to grapple with this once more. Around the same time, we have been watching the recent controversies on coach selection and the captain's role in the Indian cricket team. This team is a perfect case study, with a captain who is indubitably the most shining of contemporary cricketing heroes and a team that is a formidable cohesive unit. Keeping with the ‘politically correct’ view we tend say it’s the team that’s more important than the individual and yet our actions tend to be driven by how individuals think of themselves. Look at a typical company annual increments and promotions list and it would be obvious that there has been an attempt to reward high performers or HIPOs and to retain those bright ones who the organisation thinks might leave if their expectations are not met. Clearly, actions and talk do not match. So is the concept of team over the individual ‘idealistic’ and impractical? While we have all read and heard much about the value of teams and team spirit, there are several arguments to support the opposing view that the Individual is more important. Among the most convincing one is the evolutionary logic of “survival of the fittest’ and how it is the job of the organisation (read HR) to identify and promote the strongest while culling the weakest. The latter is the basis of the ‘fire the bottom 10% percent’ rule of the much-maligned Bell Curve. A second point of view is built upon the behavioural hypothesis that we are driven by individual success and not group success, we need to succeed over our fellow folk, not succeed with them. This view maintains that unless this individual ego is satiated with success over peers, it will seek other killing fields where it will be acclaimed as a winner. And then, there is responsibility-authority argument that is driven home by the parable of anybody, somebody and nobody that teaches us that unless you give specific responsibility and authority chaos will reign. By corollary this implies that teams encourage individuals to slack-off and end-up in collective failure that no owns. Interestingly, most management stories on the other side of the debate talk of pulling out of adversity and crisis. It’s as if one is saved by teamwork but success comes through individuals shining. So do we need great teams or shining Heroes? The Indian cricket team is a well knit, cohesive and temperamentally strong team (Okay, maybe not always but most times). It’s a bunch of great individual performers who when they come together become a formidable opponent and collectively shine brighter than their individual brilliance. But would they be such a force if they weren’t so good individually or would they still be as formidable without the team spirit being strong? It is easier to disagree with the latter but the former is a tough one. There are instances of teams of average come together and rise through the sheer collective will to succeed as a team (Pakistan winning the recent ICC Champions trophy probably qualifies as a good example. I believe that while teams of the average or ordinary can succeed but they are more likely to fail for collective effort and team spirit can only make up for so much of the lack of individual capability. So companies like good teams must scout for great individual talent. At the same time praying at the altar of individual heroes can be corrosive to the team spirit and in spite of individual success lead to collective failure or average delivery. The answer lies in creating teams where belonging is a badge of individual brilliance but thereafter, the team is bigger. Elite corps in professional armies are a case in point. Only the best make it but once inside, the individual doesn’t matter any more. To get this equation right HR must hire smart, constantly winnow and sift out those who don’t meet the cut. It must also never give-in to the individual in a clash between the individual and the team but only after it has built teams that the brightest want to join. It must be prepared too, for often times, it will have bear losing some really good ones because they could not see beyond themselves. Culturally, the team must be celebrated and individuals feted for belonging to the team. Privileges must be granted to the team and all its members. Do whatever you can to make sure that a team member would consider it a badge of honour to be worn proudly to be in the team and a failing to leave the team. Finally, each team must have a clear sense of purpose and mission. Past successes of the team should be told and re-told so that they become part of the team legacy that current member must live up to and exceed, In fact, interestingly great teams celebrate their individuals more in their legacy than in the present. If done well, legacy building inspires individuals in elite teams strive for the ultimate reward of living on in the team’s legacy.